My guess for the earliest proto-word (after reading Sangi's latest reconstruction) would be *ambəkdɨ, with a prenasalised stop and two central vowels. For north and south, you could also use boreal and austral respectively. It's horrifying, and brilliant. Horrifying in an impressive way. Are you okay with word-initial *#CaCu becoming #CCu? And with word-final *CVCa# becoming CVC#? Should word-final *VCaCa# typically become VCCa#, VCaC#, or VCC#? https://i.imgur.com/hiVkIRK.png Hopefully this clears up some confusion. 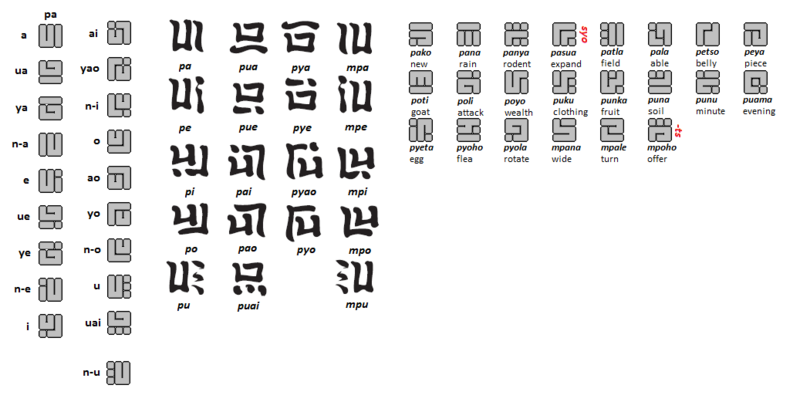 What about using some glyphs both as a logogram and as a phonetic glyph for the initial syllable of the most basic word for the concept represented by the logogram?